Oxnard, CA, January 28, 2010 Scosche Industries, an award-winning innovator of iPod and iPhone accessories, is proud to announce its first iPad accessory the new kickBACK. 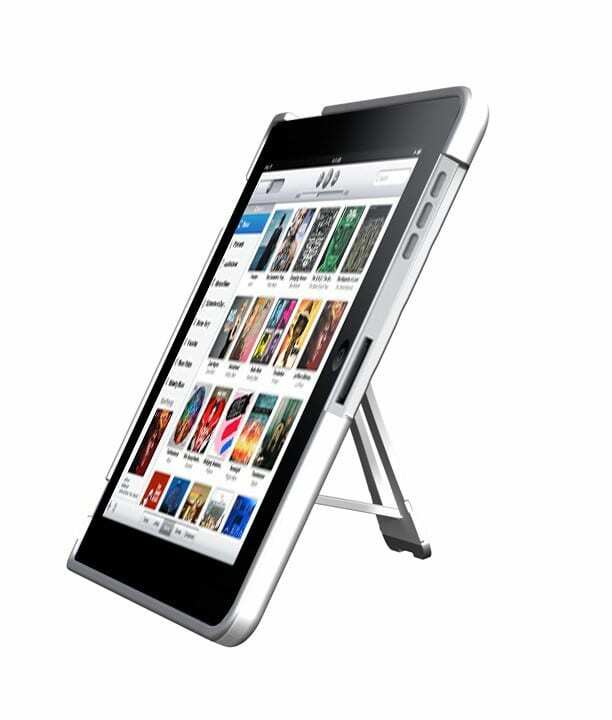 The shatterproof polycarbonate and rubber hybrid provides superior protection for the Apples new iPad tablet. The cases patent pending locking kickstand enables both vertical and horizontal viewing and has a low angle setting for an optimal typing position. Scosche also included molded grips on the back of the kickBACK for more secure handling. 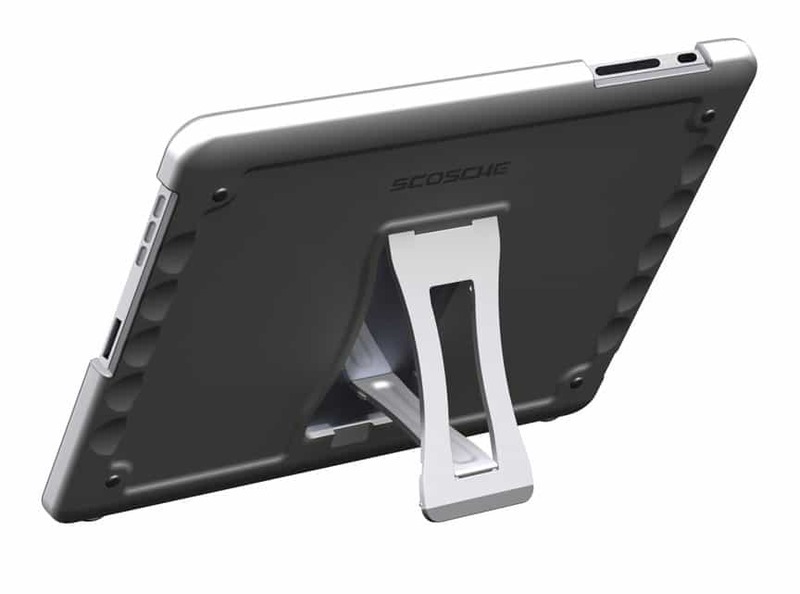 We pride ourselves at consistently being one of the first accessories manufacturers to market with leading edge products following an iPhone, iPod, or now iPad announcement, said Kas Alves, executive vice president of Scosche Industries. Its that ability to react quickly without sacrificing quality that has helped us develop necessary accessories like the new kickBACK. Like all of Scosches kickBACK cases the kickBACK ships with a screen protector and cleaning cloth. The kickBACK will ship in early-mid Spring 2010 and is the first of an entire line of accessories Scosche has planned. Scosche Industries is an award-winning innovator of iPod and iPhone accessories. Scosche is founded on its commitment to quality, value and customer service. With over 70 patents and countless industry awards it is easy to see that Scosche is consistently at the forefront of technology and innovation. Scosche Industries is the parent company of several distinct brands including: Scosche, REALM, EFX, BlueFusion and Accumat. Founded in 1980, Scosche is still 100% family owned and operated with over 120 great people along side them. For more information visit our website at www.scosche.com or follow us on Twitter at www.twitter.com/scoscheinc.